Love Oreos? Love chocolates? 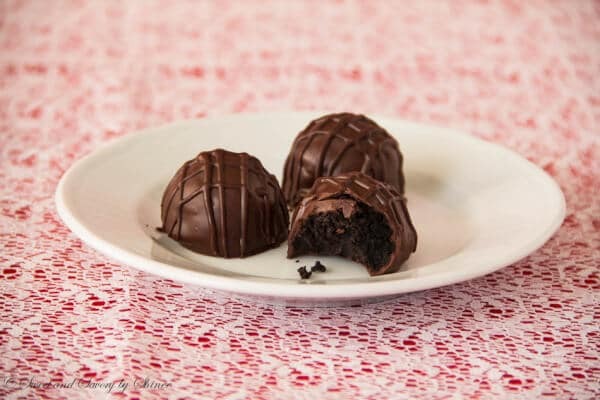 Then you will LOVE these super easy oreo truffles. 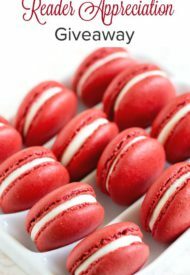 Just 3 ingredients and lots of fun to make these babies! You’re chocoholic? So do I. And I love oreos! It’s not advised to leave me alone with a package of Oreos. They will disappear in no time. I’m not even kidding you. When I came across this recipe, I had to make it. It’s incredibly easy and fun to make. 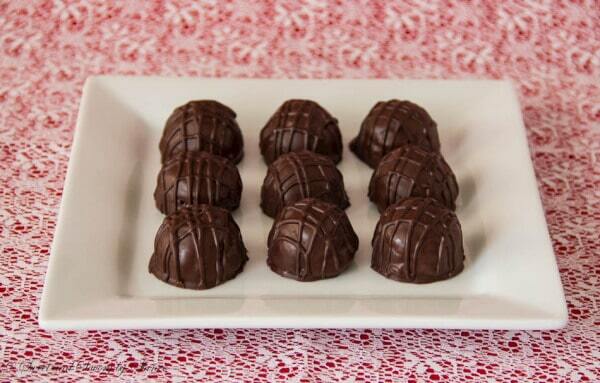 I’m telling you, these truffles are amazeballs (yep, I just said that!). Cream cheese, oreos and chocolate. What’s not to love here? 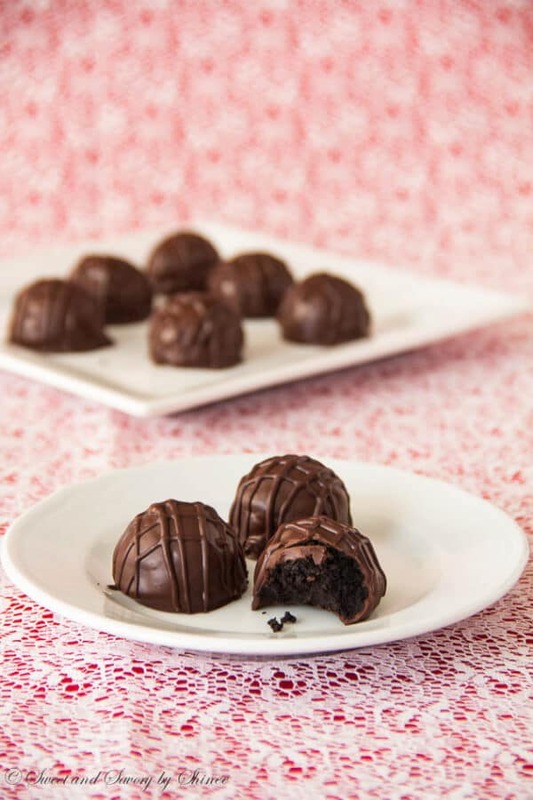 Follow the step-by-step instructions to make your very own oreo truffles. To decorate, you can sprinkle some chocolate curls, or crushed Oreos, or drizzle some leftover melted chocolate, if desired. Have fun! Separate cookies and fillings. Reserve 1/3 of the filling, and discard the rest. Crush the cookies in the food processor, or blender until fine crumbs. Combine reserved oreo filling, cream cheese and cookie crumbs until well blended. Using medium cookie scoop, divide the mixture into 1-inch balls. Place the chocolate chips in the medium heatproof bowl over a simmering water. Slowly melt the chocolate, stirring occasionally. Using 2 forks, dip the cookie balls in the melted chocolate. Place on baking sheet lined with waxed paper. Let them dry for at least couple of hours. 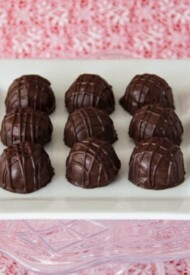 Decorate with chocolate curls, or crushed Oreos, or drizzle the remaining melted chocolate. Slightly adapted from Kraft Recipes.